Derby Museum and Art Gallery has bought two alms plates that were used in Derby. 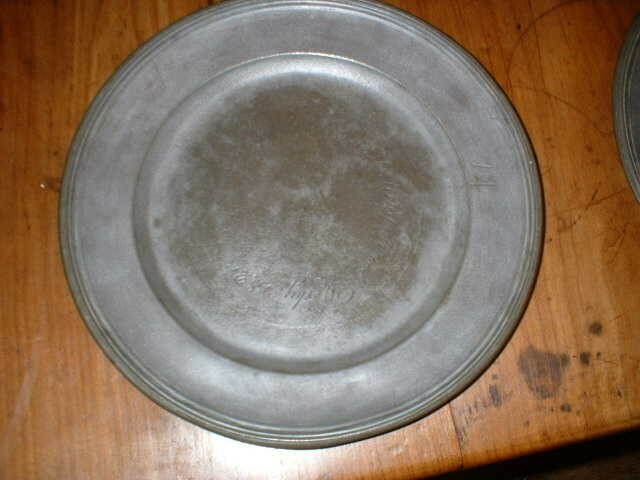 Two of the plates are made from pewter and were used either for alms or as Communion plates at King Street Methodist Chapel, Derby. One carries the mark ’12’ near the rim and engraved with the words ‘Methodist Chapel King Street Derby’. The second the mark ‘11′ near the rim and engraved with the words ‘Methodist Chapel King Street Derby 1820’.They were likely used to distribute bread at the Communion, rather than collect alms, but that possibility exists. They may have been from the former New Jerusalem Chapel established in 1814. Although their is some confusion as a second congregation was gathered by James Robinson who apparently ‘erected’ it at his own expense and which opened on 18th June 1820. Robinson was ordained that August. The building was subsequently used by George Wells as a coach Manufactory and then by motor engineers until it was demolished in c. 1970. The third alms plate is made from silver-plated pewter. It is engraved around the border ‘AGARD STREET MEETING DERBY 1822 / Wm Holmes / Thos Bridgett / J Cuppleditch / DEACONS’. Circa 1820. This Baptist Chapel in Derby was opened in Agard Street on 12 June 1794. It was built at the sole expense of Archer Ward of Mill Hill House, Derby.